Imposing form on a period of time is what beauty demands, but so does memory. 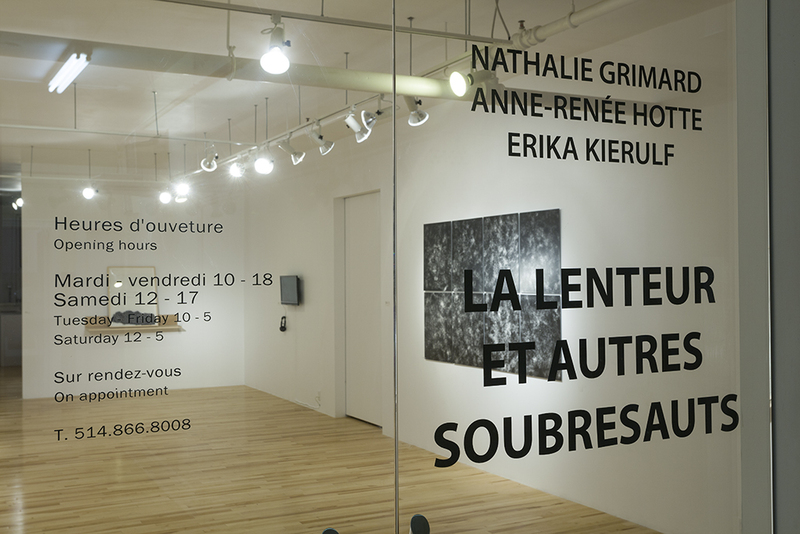 If time passing both fascinates and frightens, the pace we impose on ourselves everyday leaves us breathless, this exhibition, “La lenteur et autres soubresauts”, offers itself as a counterweight, a breathing space and a moment of contemplation with the work of these three women artists. 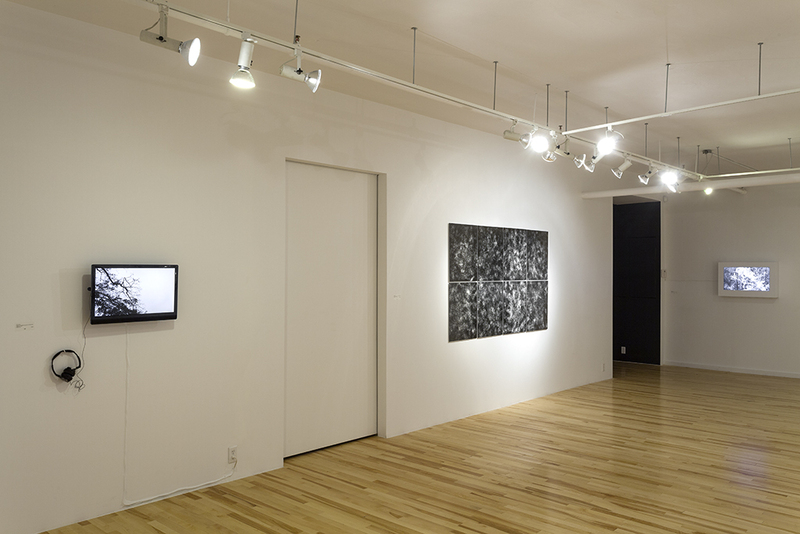 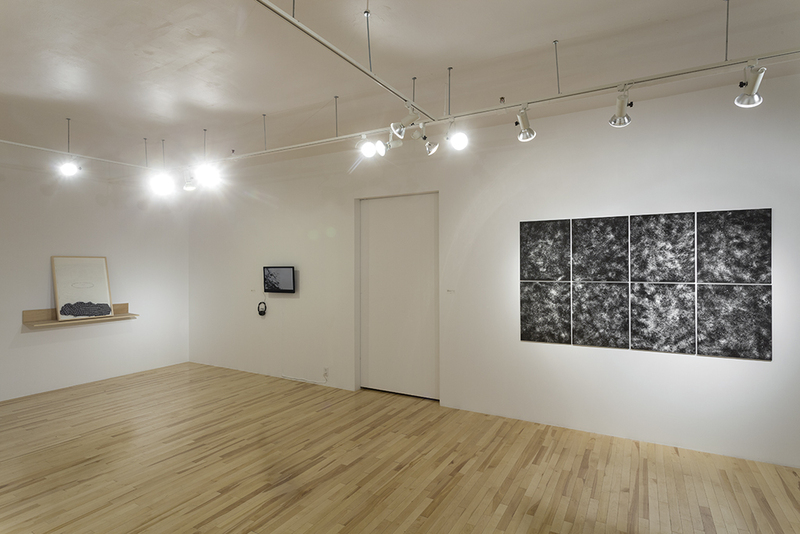 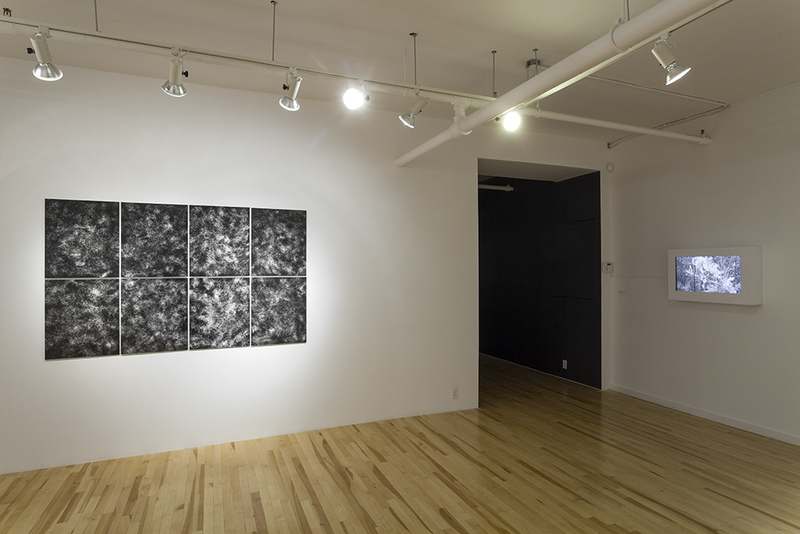 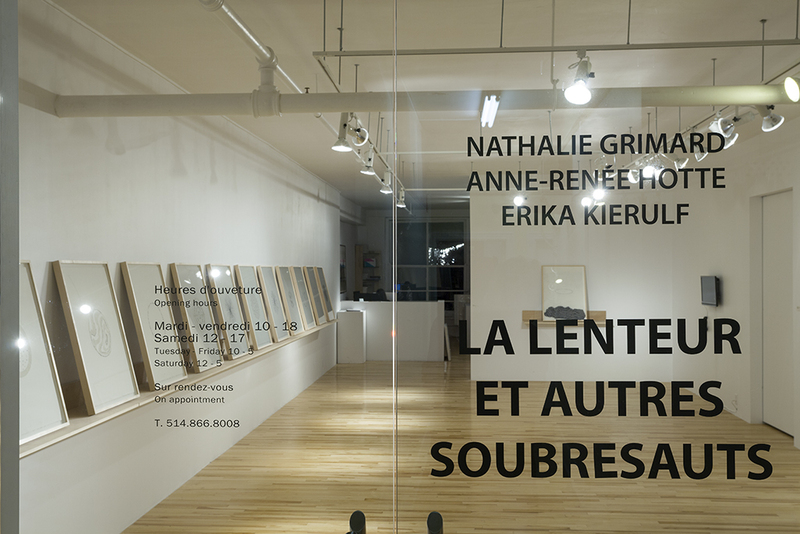 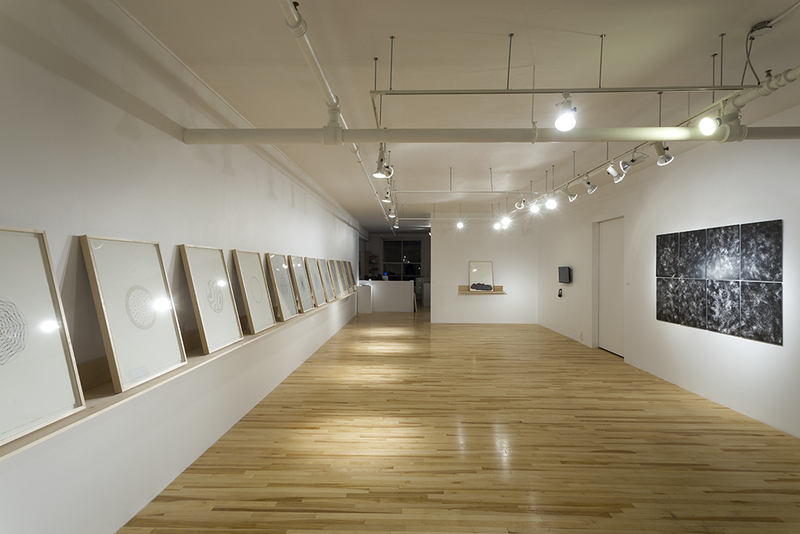 It is with great pleasure that we begin the year with this exhibition, allowing us to show for the first time the work of Anne-Renée Hotte and Erika Kierulf, presented along the most recent works by Nathalie Grimard – who has been working with the gallery for many years. 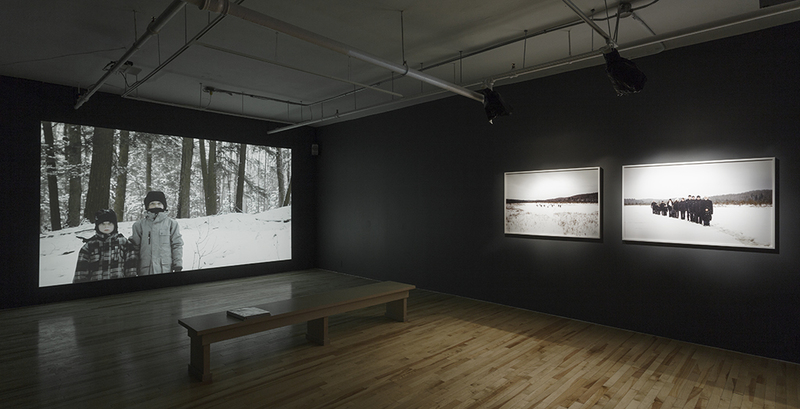 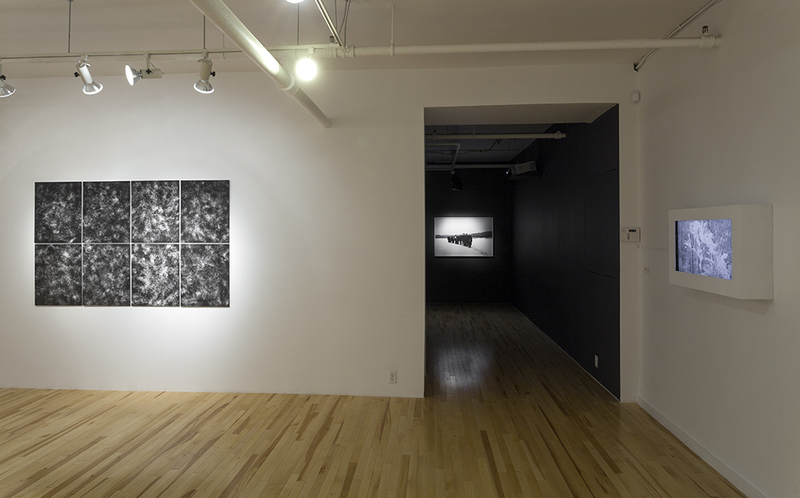 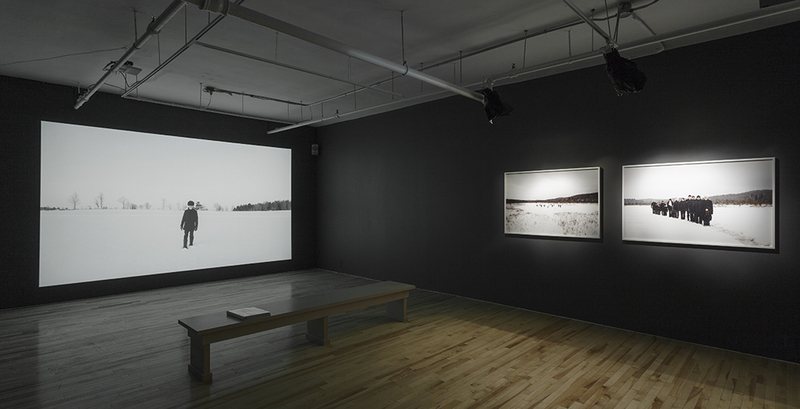 Presented from January 12th to February 16th, the exhibition features photo and video works as long as works on paper that are all part of a litany, a still frame that allows our eyes to concentrate and breathe, even for a moment. 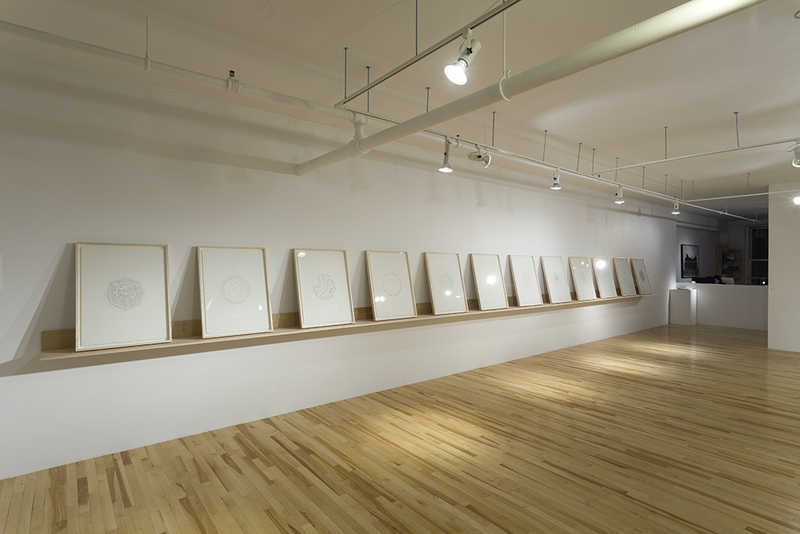 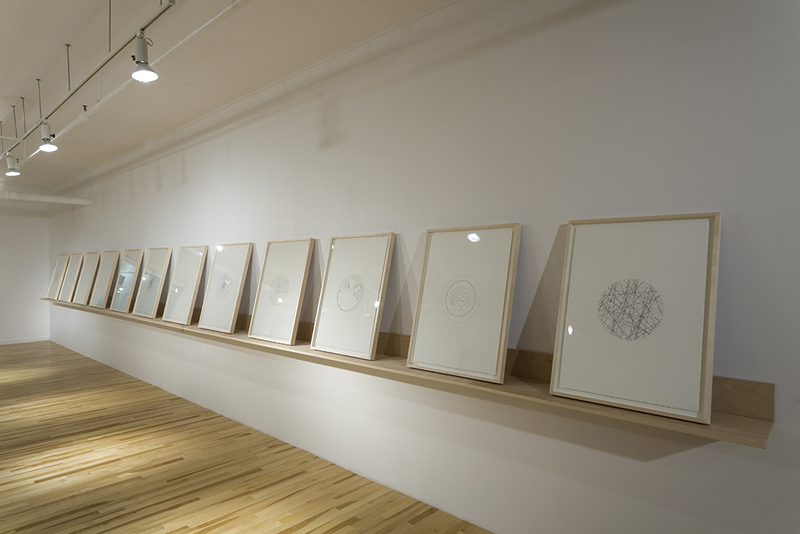 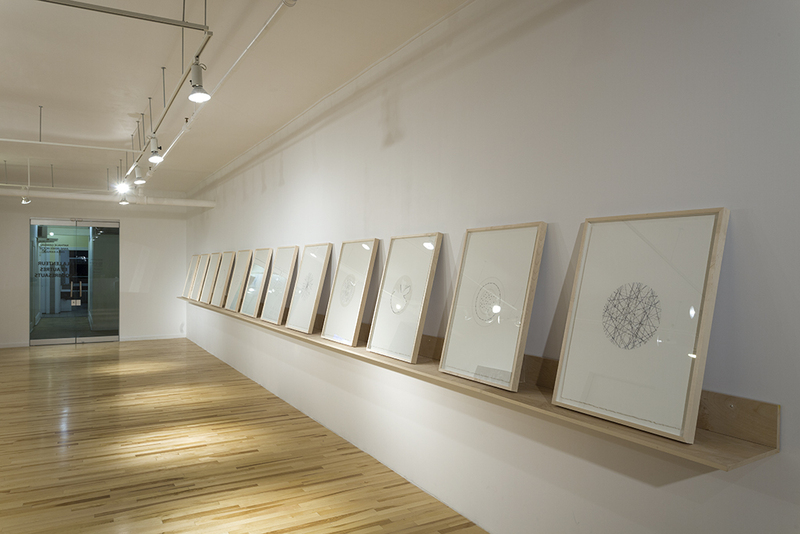 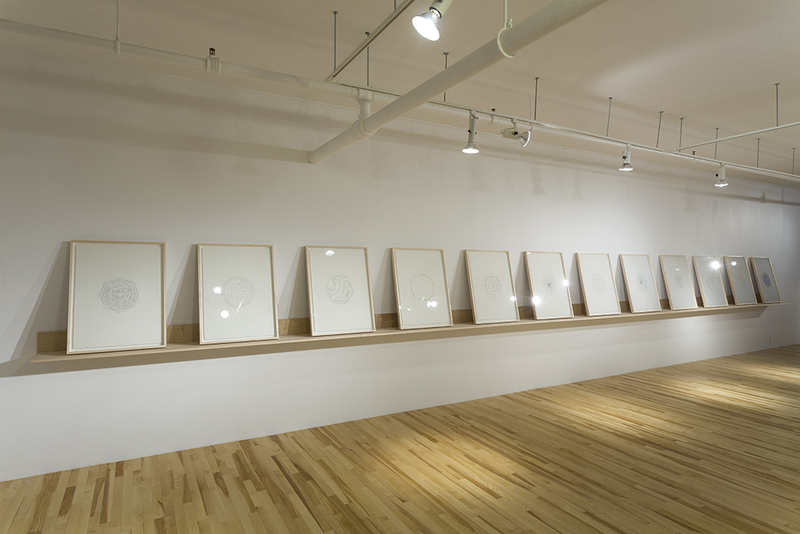 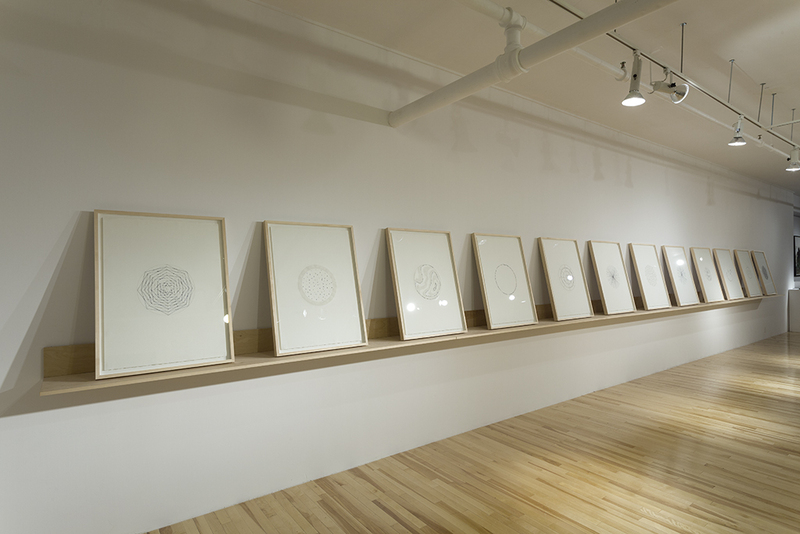 The question of the litany is particularly vivid in the works on paper by Nathalie Grimard, who returns to the practice of embroidery, evoking the exhibition “Vertiges” presented at the gallery in 2007. 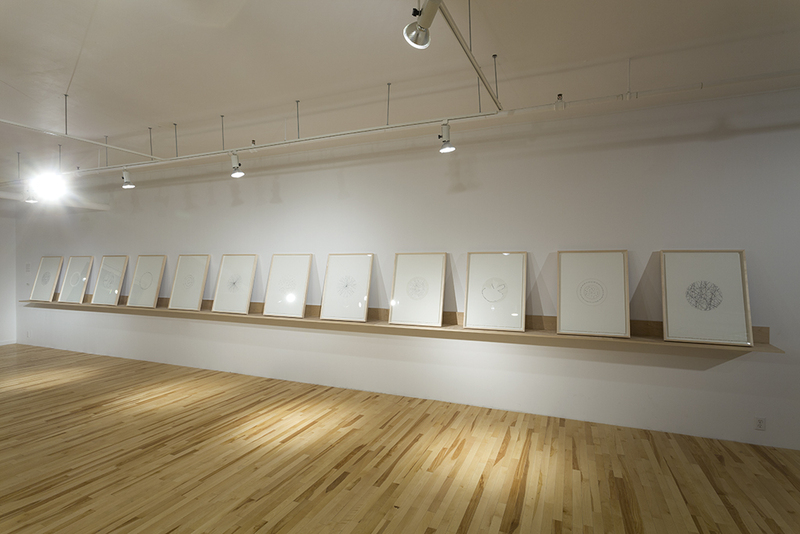 Here, the artist chooses to unweave each thread of her late father pyjamas, using them to create circular patterns on large scale paper, recalling the form of the Heliport sign, visible from his hospital room. 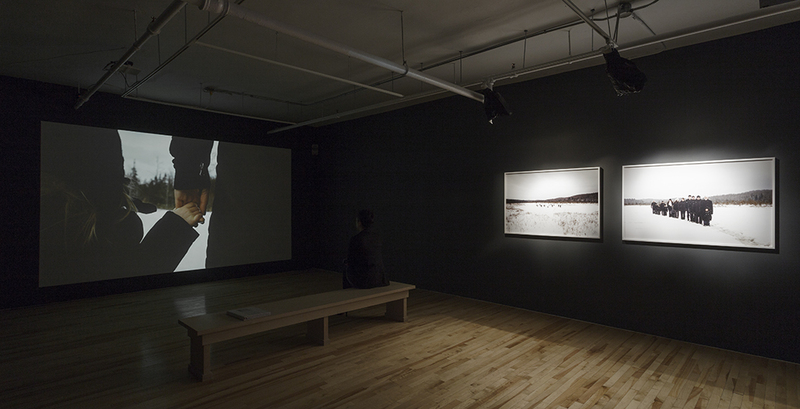 The process of deconstruction of the cloth is arduous in itself, even painful. 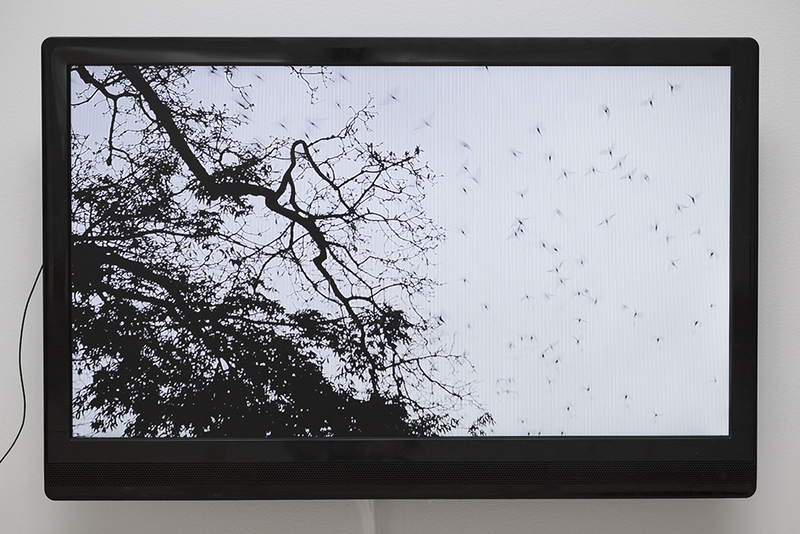 If it is partly a necessity for the artist to make tangible the grieving process, it mainly emphasizes the themes of fragility, family and the ephemeral. 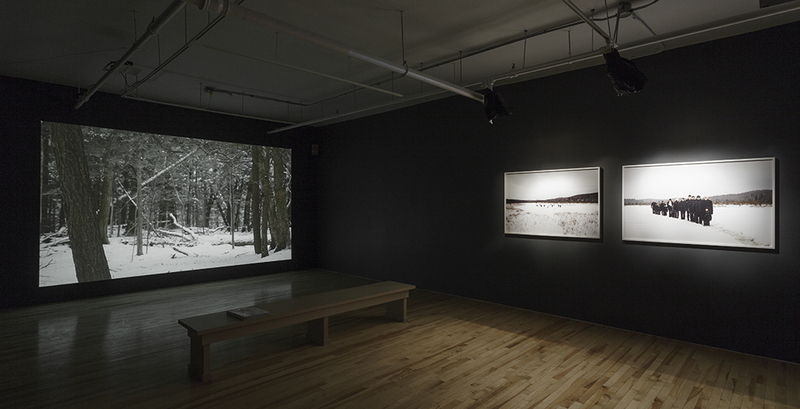 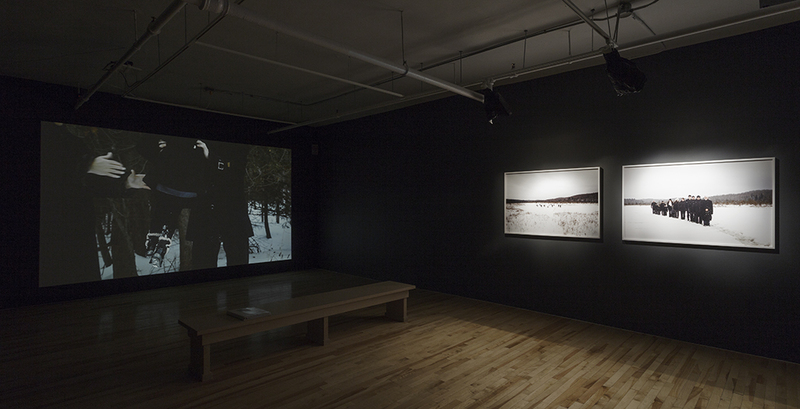 Through her video and photographic work, Anne-Renée Hotte offers a new vision of romantic landscape – grand, even sublime – in which an imagined family saga is played, smoothly unfolding its story before our eyes. 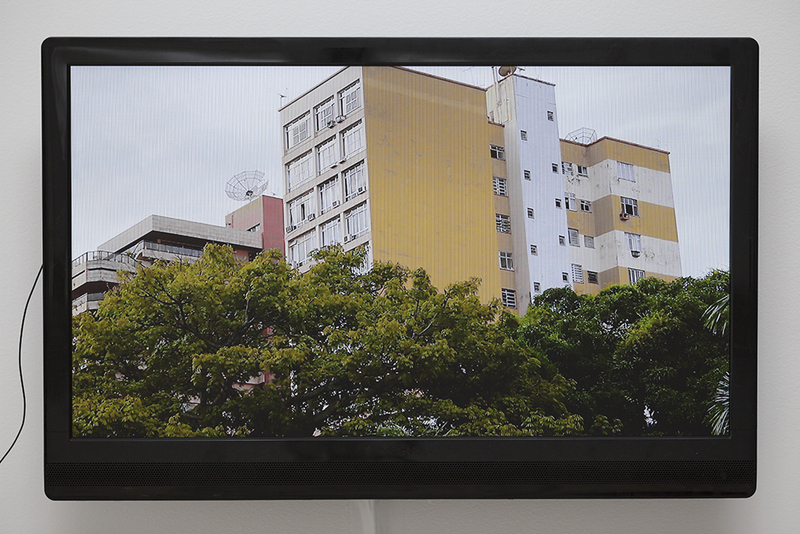 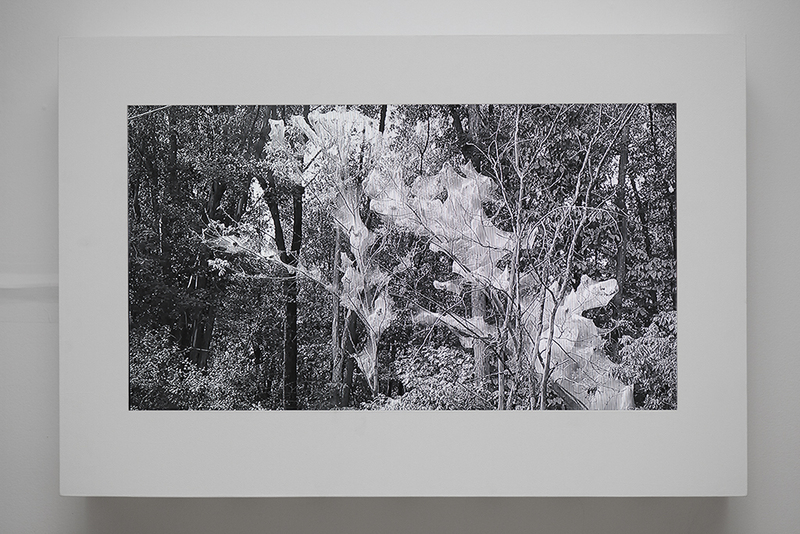 Issues of family and filiation are fundamental to the practice of Hotte, where the landscape becomes a symbol of both identity and the passage of time that is visible through the seasons changing, projecting these actions in an ideal, out of time, fictional space. 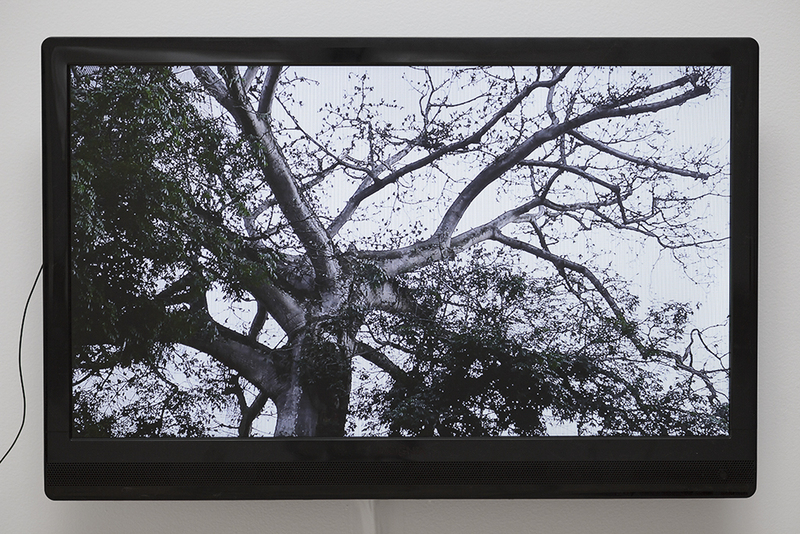 The essence of nature is central to the practice of Erika Kierulf, idea she explores through video and photography, accentuating the thin, fragile line that humanity faces when confronted with these forces. 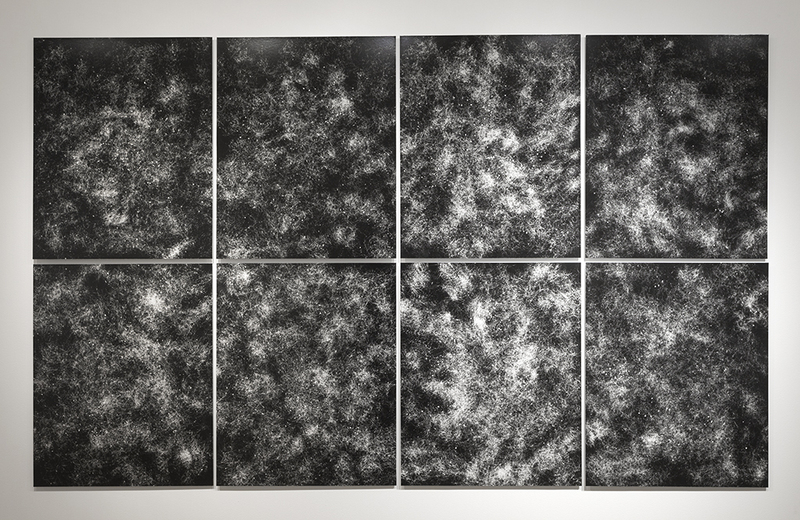 Kierulf pushes our gaze to focus on the motif, thwarting our sense of perception through her play with scale ratios, while constructing her own ethereal landscapes from organic material. 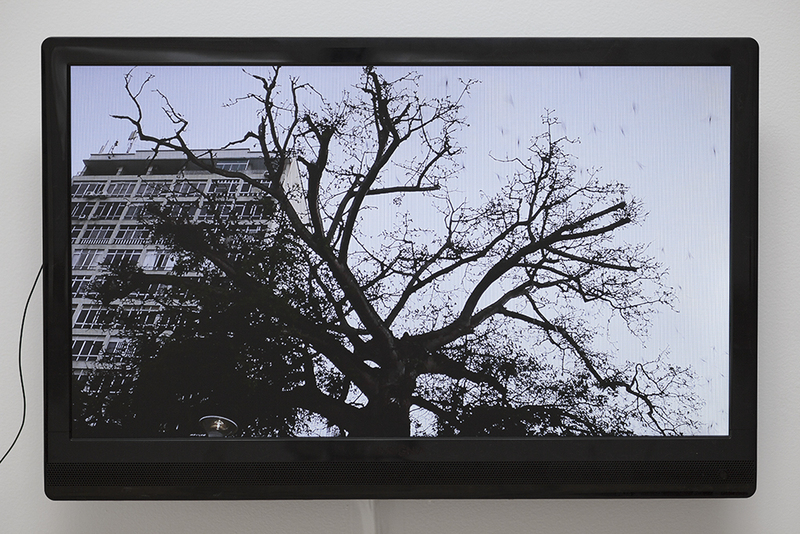 Her video works witness mesmerizing phenomena suggestive of connections, communities and the passing of time. 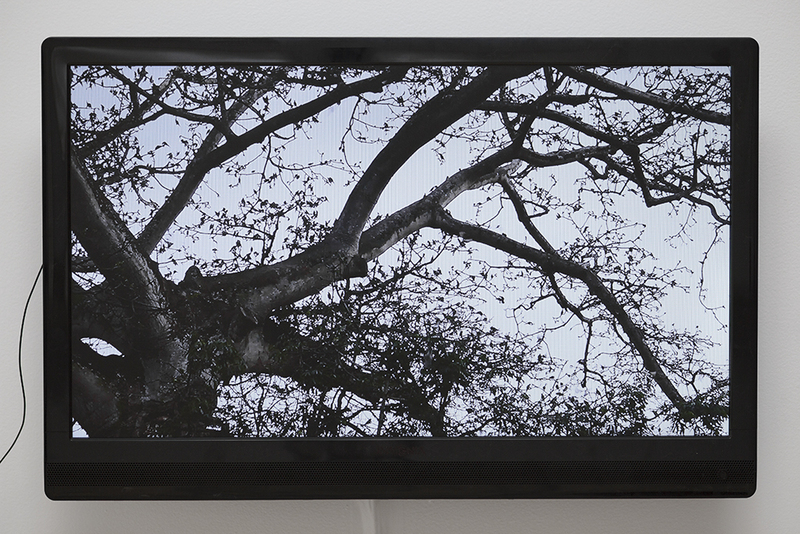 Kierulf focuses on the impalpable, ideas that are difficult to interpret in form such as territories of suspension, placelessness and otherness, speaking to the ultimate discovery of nature: that one is alone, though an interconnected world.